Research and development, cutting edge materials, toll coating, custom blending, and converting at your Service. 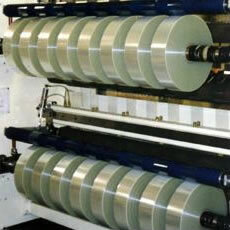 VCF Films is equipped to handle your innovative thin film needs. We have developed relationships with universities which gives us access to inventors, researchers, and specialized equipment for pilot tests. 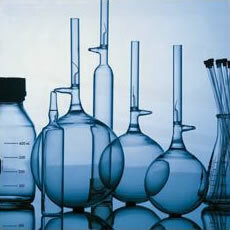 We also conduct research in our own lab and can produce cutting-edge materials suited to your specific applications. 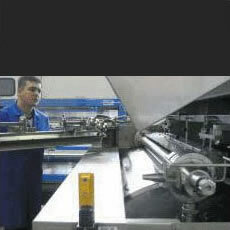 Whether your project ends up on our production equipment or not, allow us to apply our extensive knowledge and experience in engineered polymers and solvents to bring your packaging and product ideas to life in the form of cutting edge coatings and innovative thin films. Heat and pressure to assure total dissolution. High intensity cowls mixers with VFD to assure dispersion without damage to sensitive materials. Micron level filtration to remove the smallest of gels and fine particles. Steam and/or hot/cold water jacketing to serve your unique requirements. Have you already developed a solution cast product, but need to outsource production? Count on VCF Films to manufacture your product. Supported by decades of experience in the solution casting process, VCF Films allows you to bring a solution cast film to market without spending millions investing in highly-specialized production equipment. VCF Film has been converting specialized films for decades – why not allow us to convert your films?